One of the hallmarks of democracy is the chance to participate in important decisions that affect us. Often this participation isn’t very direct — most of us don’t spend our days making laws; we elect folks to represent us at the local, state and national level. 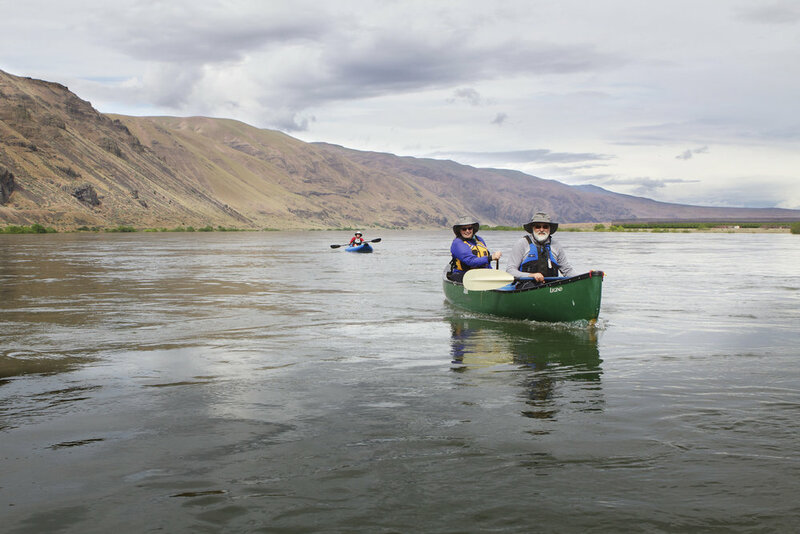 The Conservancy has been involved with the Hanford Reach landscape since the 1980s, and we were in the thick of the fight to protect this national treasure for nearly 20 years. Learn more. But regular citizens do have the chance to speak our piece: We do so by writing to our representatives, posting on their social-media sites, writing letters to the editor of our local newspapers and participating in town halls hosted by legislators or public agencies. There was plenty of opportunity for comment prior to Hanford Reach’s designation as a national monument in 2000, but the Reach still finds itself among the more than two dozen national monuments under review by the U.S. Department of Interior this year. This gives us all the opportunity to say — for some of us to say again — that protecting this unique ecosystem is important to us. The White Bluffs at the Hanford Reach National Monument. Photo by Joel Rogers. 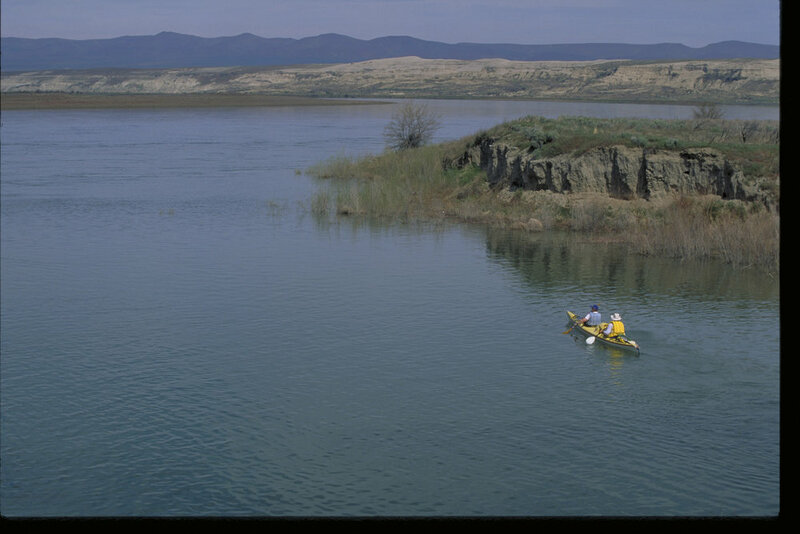 Canoeing on the Columbia River below the bluffs of the Hanford Reach National Monument. Photo by Michael Deckert. 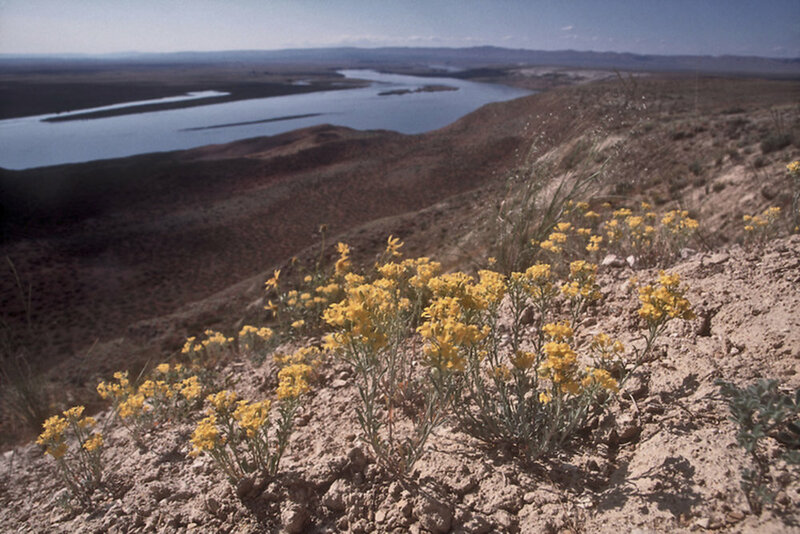 Umtanum Desert Buckwheat, shown in this photo, and White Bluffs Bladderpod are only known to exist at Hanford Reach. Photo by Joel Rogers. 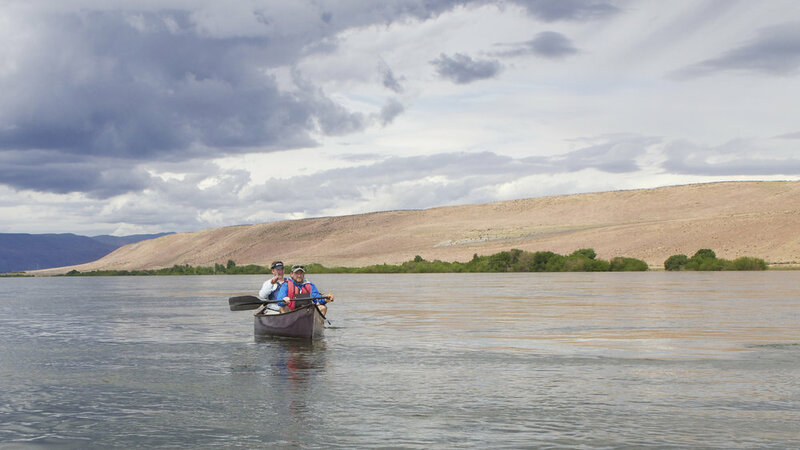 Canoeing on the Columbia River in the Hanford Reach National Monument. Photo by Michael Deckert. 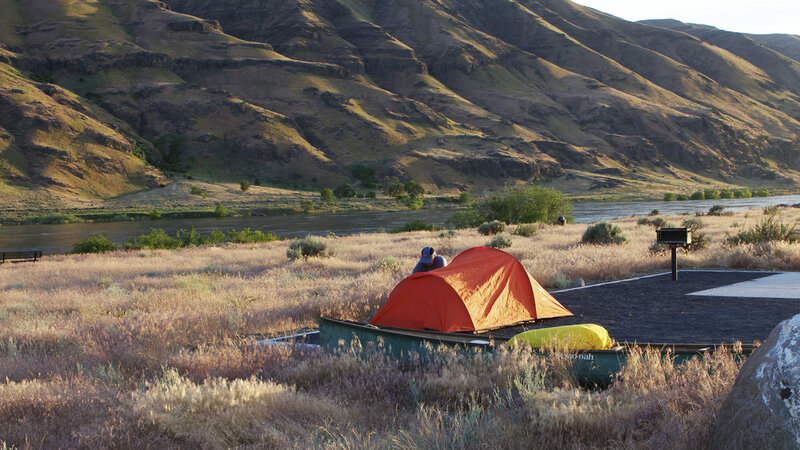 A campsite near the Columbia River in the Hanford Reach National Monument. Photo by Michael Deckert. Kayakers on the Hanford Reach of the Columbia River. Photo by Keith Lazelle. 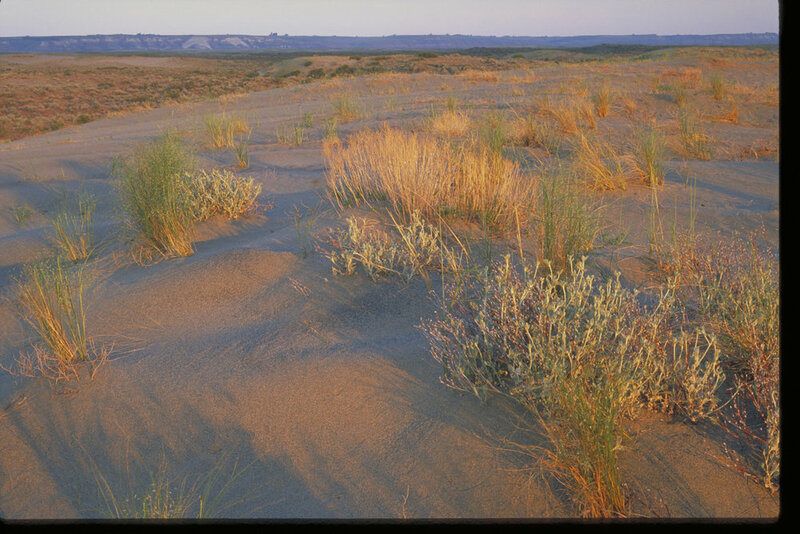 Sand dunes at Hanford. Photo by Keith Lazelle. Young visitors to the Hanford Reach learn about the birds that make the Hanford Reach National Monument their home. Photo by Joel Rogers. American white pelicans fly past a kayaker on the Columbia River in the Hanford Reach National Monument. Photo by Michael Deckert. 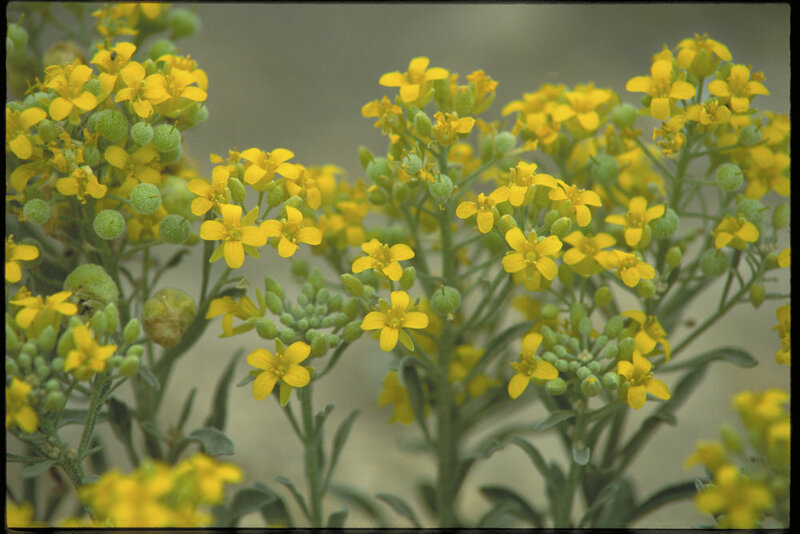 White Bluffs bladderpod (Lesquerella tuplashensis) was described as a species new to science in 1995. Its scientific name incorporates the Sahaptian name for the White Bluffs, the only place this plant is known to occur. 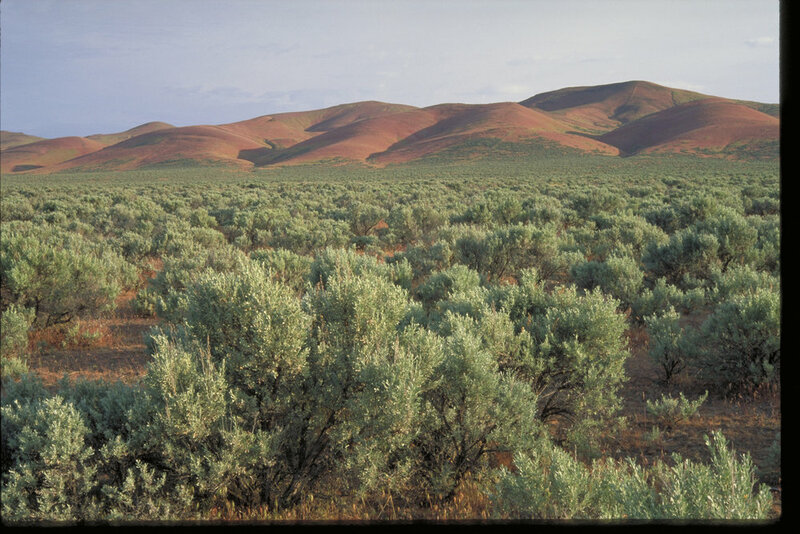 Shrub-steppe, Columbia Plateau, Hanford Reach, Washington. Photo by Keith Lazelle. 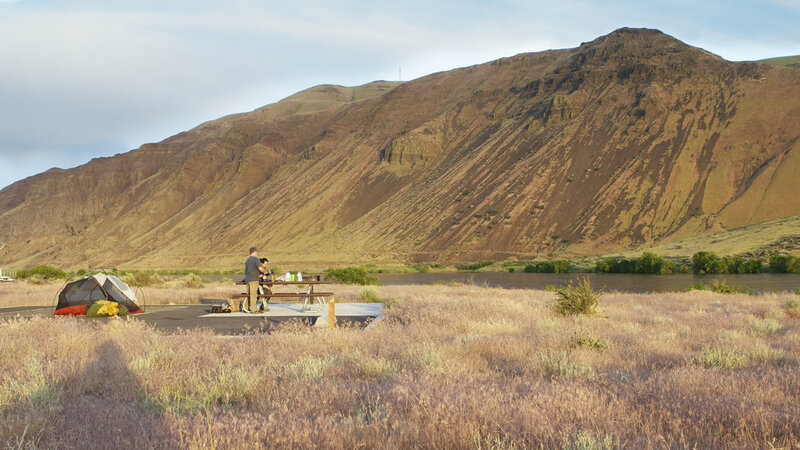 A family camps near the Columbia River in the Hanford Reach National Monument. Photo by Michael Deckert. 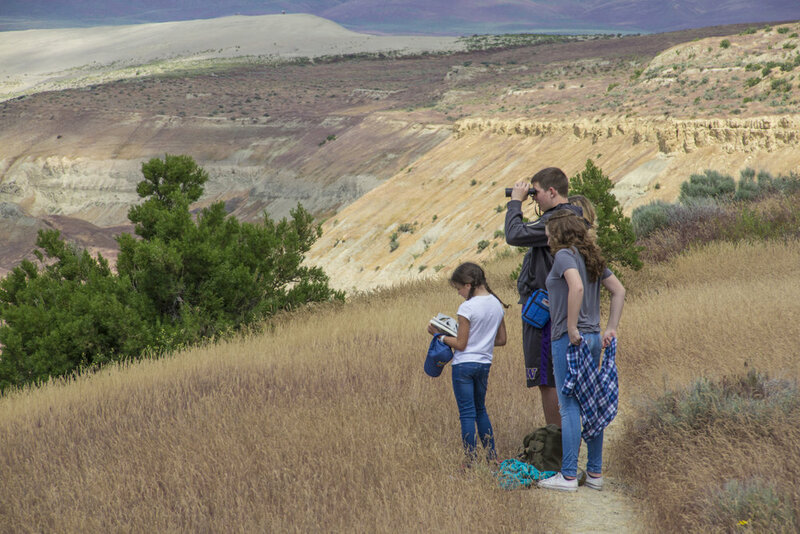 A family enjoys the view above the White Bluffs in the Hanford Reach National Monument. Photo by Joel Rogers. Young visitors to Hanford Reach learn about the birds that make the Hanford Reach National Monument their home. Photo by Joel Rogers. Saddle Mountains at the Wahluke Slope at Hanford Reach. Photo by Keith Lazelle. 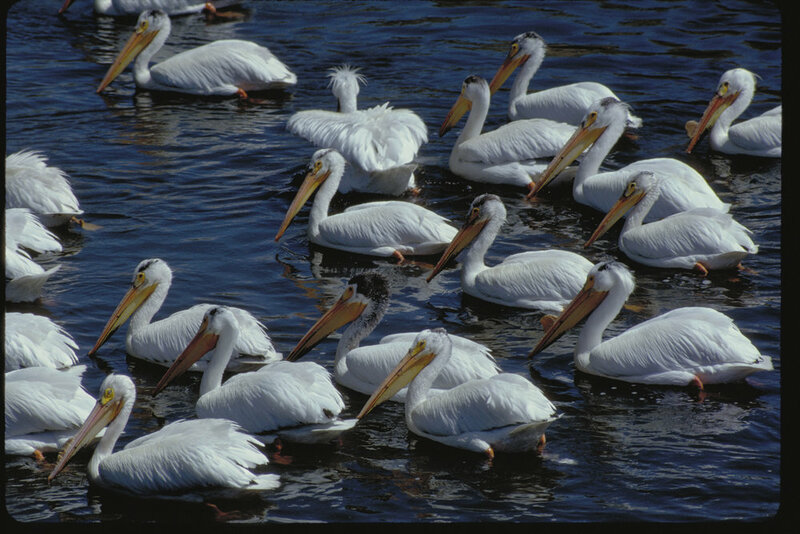 The state-endangered American white pelican breeds along the Columbia River south of the Tri-Cities, and forages much of the year on the Hanford Reach National Monument. Other birds to be found on the National Monument include osprey, egrets, bald eagles, terns, herons, and falcons — just to name a few. Photo by Keith Lazelle. Sagebrush phlox at Hanford Reach. Photo by Keith Lazelle. What's that you see? Probably one of the 200-plus species of birds found at Hanford Reach National Monument. Photo by Joel Rogers. 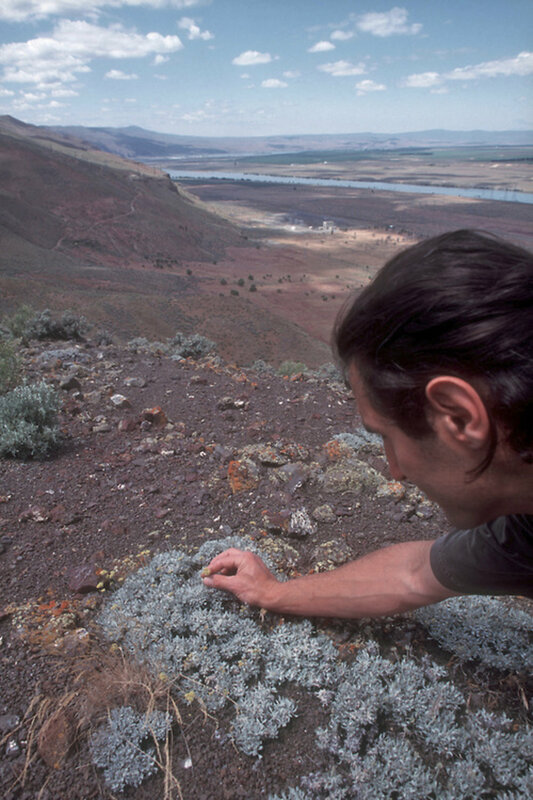 Umtanum Desert Buckwheat ( Erigonum codium) and White Bluffs Bladderpod ( Lesquerella tuplashensis), shown in this photo, were found during The Nature Conservancy's ecological inventory of the Hanford site in the 1990s. Both had been previously unknown to science, and are only known to exist at Hanford Reach. Photo by Joel Rogers 2000. A Great egret (Ardea alba) flies through the Hanford Reach National Monument. Photo by Michael Deckert. 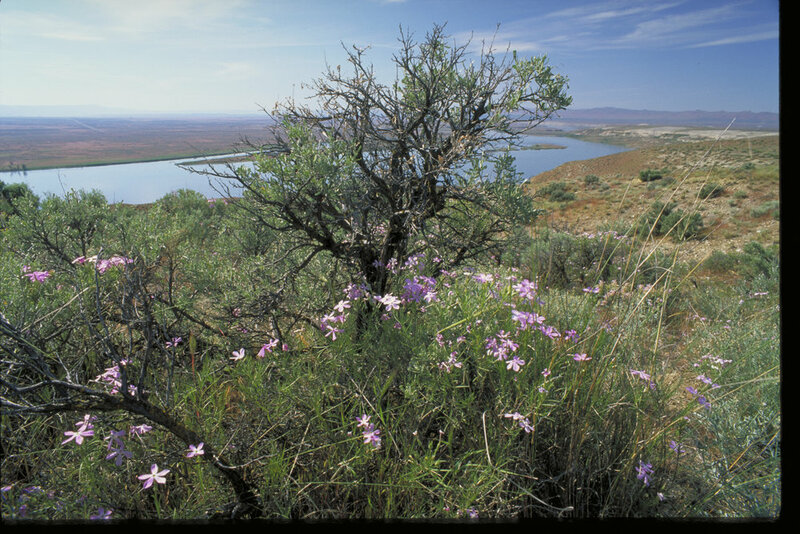 Sagebrush below Saddle Mountains at Hanford Reach. Photo by Keith Lazelle. An American white pelican (Pelecanus erythrorhynchos) flies through the Hanford Reach National Monument. Photo by Michael Deckert. A Bullock's oriole (Icterus bullockii) rests on a branch near the White Bluffs. Hanford Reach is a stopover for many species of migrating birds. Photo by Joel Rogers. 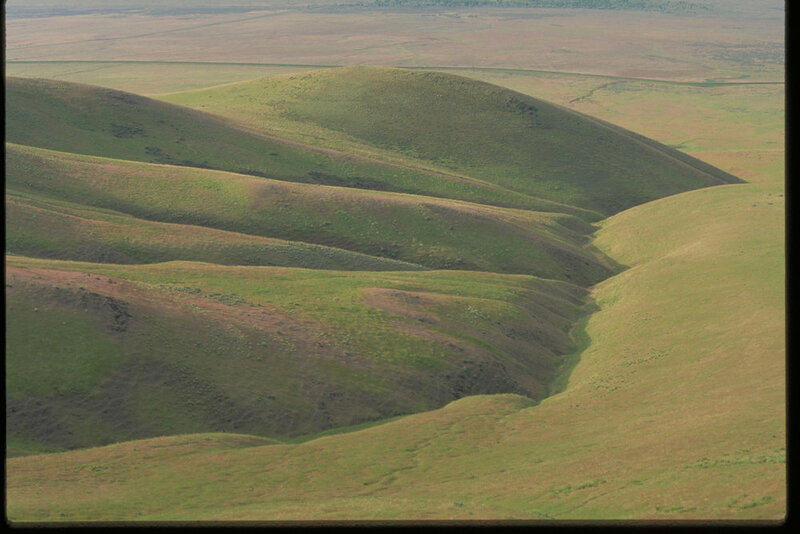 Yes, Washington has sand dunes! Plant pictured is winged dock (Rumex venosus) "sand dock." Photo by Joel Rogers. 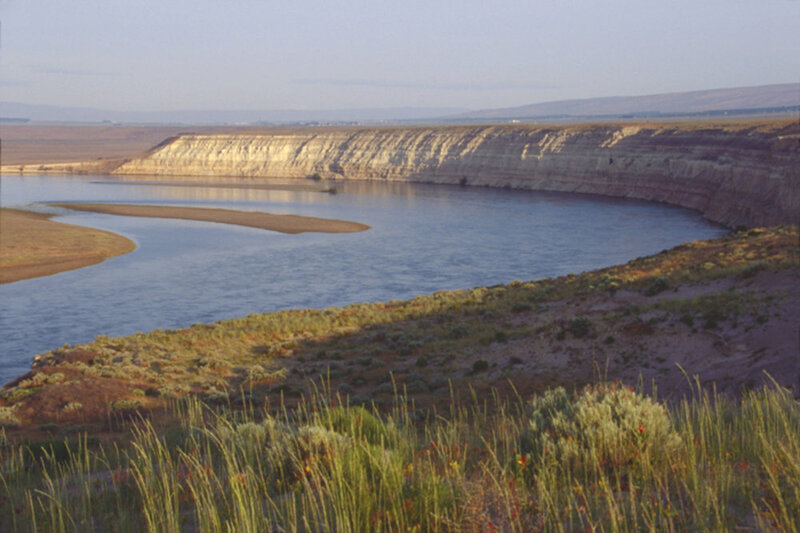 Hanford Reach National Monument, which includes the last free-flowing stretch of the Columbia River, is a treasure that should be preserved in its current form. The monument contains some of the most productive salmon spawning areas in the Northwest. 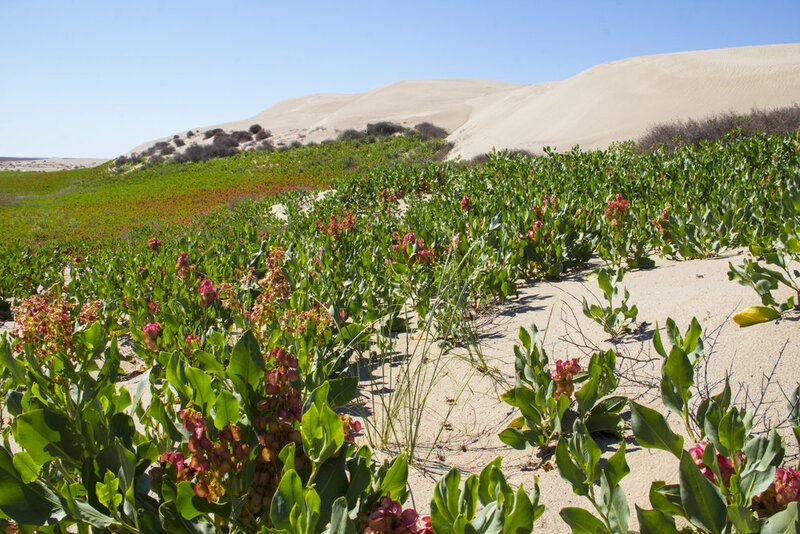 It also has hundreds of species of plants, insects and animals, many of which are rare. 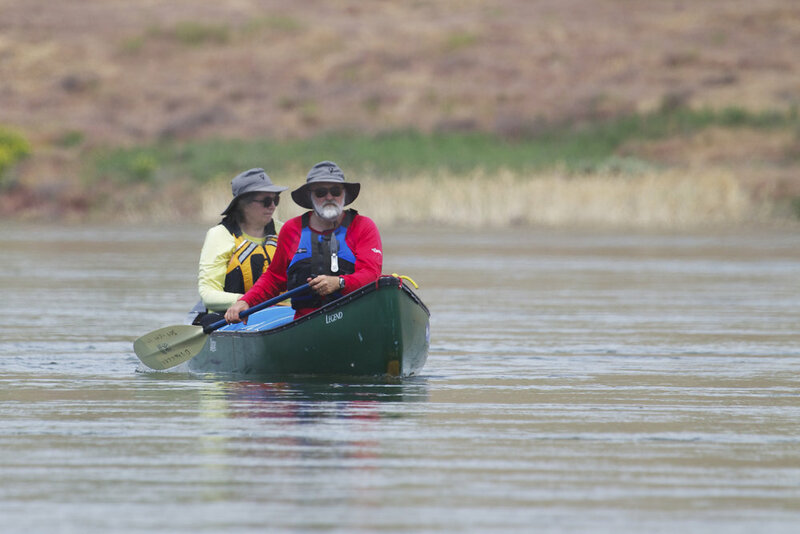 Hanford Reach is a great place for recreation, with many opportunities for fishing, hunting, hiking, birdwatching, horseback riding and picture-taking. One of the highlights of the monument, the beautiful and iconic White Bluffs, was formed millions of years ago. The bluffs contain a wealth of fossils, including mastodons, camels, zebras and rhinoceros. Please protect Hanford Reach as a national monument so that future generations can enjoy this national gem. We thought that Hanford Reach National Monument would be protected forever, but the reach needs us now. We once again have the chance to speak up for nature, and each of our voices can help make a difference. Older PostTwo-Minute Takeaway: What is Riprap?